Over 5, 000 post-graduate students are trapped at the National Open University of Nigeria, NOUN, due to their failure to meet the university’s requirement for graduation. According to the policy of the university, a student is required to earn a minimum cumulative grade point average, CGPA, of 3.0 and a specified total credit earned, TCE, to graduate. The 3.0 CGPA is the equivalent of second class lower in other Nigerian universities, while the TCE is the totality of points amassed from courses the student registered for and passed in the course of the programme. According to a group of students who have completed their programmes but earned less than the stipulated CGPA, they were not informed of the “No 3.0, No Graduation” policy at the point of their admission into the university. In a statement they issued Monday, a group of the students called on the Minister of Education and the Executive Secretary of the National Universities Commission to direct NOUN to suspend the “obnoxious policy” and let them go. “In addition to this, the institution should be made to explain why it chose to conceal the policy from students at the point of admission, only to impose it on them at the point of graduation,” they said in the statement signed on their behalf by Tony Christian. “While it is a common knowledge that the policy is nothing but a deliberate scheme by NOUN to up its IGR, it was however not surprising that all students affected by the policy were deliberately made to fail some courses in a bid by the institution to generate funds from payment arising from re-registration of carried-over courses. “Yet, after writing these carried-over courses, with no outstanding and scored at least 2.5 GP, it is baffling that NOUN has refused to graduate these students on the ground that they did not meet its 3.0 GP benchmark. “In the history of Nigeria’s education system, it is unheard of that the certificate of a post graduate student was being withheld on the account of the status of his or her GP. The standard rule is either a student passed or failed. Whichever way it goes; it is within the right of the student to be issued either certificate of graduation or attendance. No law or policy of any university is empowered to do otherwise. “It is therefore alien that a post graduate student who has no outstanding course and scored at least 2.5 GP, which is by universal grading, Second Class lower, is denied certificate of graduation because he or she did not score up to 3.0 GP – which is still within the range of Second Class lower “. 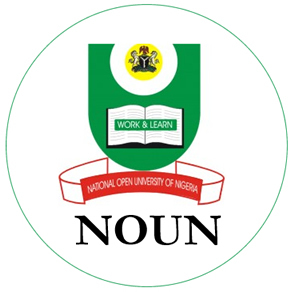 A spokesperson for NOUN, Ibrahim Sheme, confirmed the policy, but said it was in compliance with the standard set by NUC. Mr. Sheme later issued a press statement on the development on Tuesday. “In line with NUC’s Benchmark Minimum Academic Standards, BMAS , for Nigerian universities, which is a policy document in the public domain that can easily be accessed, the minimum pass mark for ALL postgraduate courses is a ‘C’, which is a ‘Credit’ and carries a grade point of 3. In clinical/pharmaceutical sciences, it is a ‘B’,”Mr. Sheme said. “In terms of the graduation requirements for most programmes, a student is required to have earned a minimum Cumulative Grade Point Average, CGPA, of 3.00 and a Total Credit Earned, TCE, meaning the summation of all the courses registered and passed, of 30 before they may be pronounced ‘graduated’ by the university. “For professional programmes like the MBA, the TCE is far higher. “In addition to CGPA and TCE, postgraduate students are similarly expected to have fulfilled other academic requirements like passing all the courses registered, particularly the core courses. “For example, a postgraduate student must pass the Good Study Guide (GST707/807), which is an introductory course for an Open and Distance Learning (ODL) student, etc. Mr, Sheme said NOUN was not unaware that “in the formative years of the university, some of our operations were not properly aligned with the regulatory dictates of the NUC. “Some of the postgraduate students may not have been properly informed on the degree awarding rules for the programmes they applied for. A spokesperson for NUC, Ibrahim Yakassai, confirmed that 3.0’GP is the minimum requirement set by NUC for post-graduate degrees. But he said individual institutions can also set their own benchmark to accommodate peculiar situations of their students.